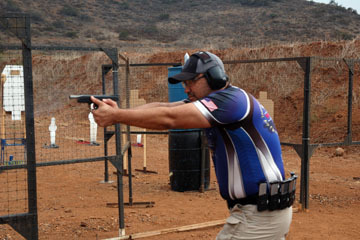 Linea de Fuego is a USPSA affiliated section that includes two USPSA clubs - Reservation Shooting Club and Pala Practical Shooters. We run two 6-stage USPSA pistol matches a month, one on the 2nd and one on the 4th Saturday of the month, and a 5-stage 3-gun match on the 2nd Sunday of the month. There is also a Steel Match on months that have a 5th Saturday (3 or 4 times a year). Sign-in starts around 7:30AM and the range goes hot around 9:00AM (8:30 for 3-gun matches}. 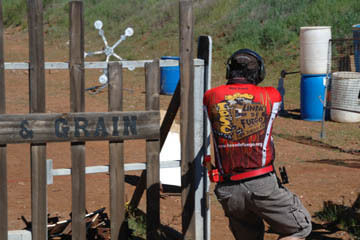 Matches are held outdoors at the Pala Shooting Range on the Pala Indian Reservation in North San Diego County. Our matches are open to all shooters (membership is not required) and we welcome new shooters. Pistol match fees are $40 for the general public and $30 for LdF members. If you would like more information about the club email info@lineadefuego.net. 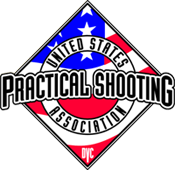 Online registration (via Practiscore) for USPSA Pistol and 3-Gun matches opens at noon on the Sunday before a match, and closes at 9PM on the Friday before the match. Registering online helps us to get the tablets set up in advance, easing the rush on match day morning. It also makes it easier to squad with your friends. The LdF home page will always reflect when the next USPSA pistol match is open for online registration. This first annual Titan 300 Match will be held on April 27th, 2019. This is a one day, 8 stage match with proceeds to benefit Linea de Fuego. Registration opens on March 17th. More info. 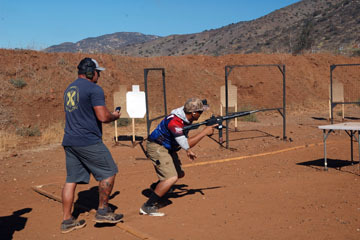 The first edition of the quarterly member newsletter is now available for download, we've got details about upcoming major matches, a swap meet, junior shooters, and training opportunities. See for your copy! Annual LdF membership forms are available here. Members receive discounted match fees, are eligible to participate in the annual Trophy Chase and have a voice in the club operation.